In creating this book, Howard Shapiro drew upon his recollections of growing up being the only Jewish kid in his neighborhood and elementary school. His hope is that the parents who read this book to their children will identify with what the feelings and emotions that the characters of Tom and Tupelo experience during the holiday season. They can then talk to their children about their own experiences growing up and have fun while doing it! After reading the story, maybe they could all listen to the Adam Sandler Hanukkah song! This book is a definite must have in any home not just a Jewish home. 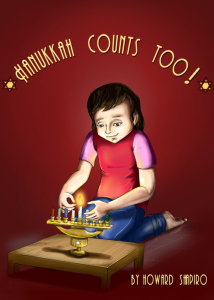 The book helps Jewish kids realize there is nothing wrong with celebrating a holiday other than Christmas and it helps non-Jewish kids understand everyone is different and special in their own way.